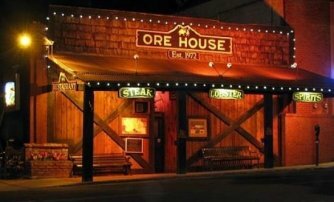 Since 1972, the Ore House Restaurant has been one of Durango, Colorado's finest restaurants, with an atmosphere that truly reflects the essence and history of Southwestern Colorado. Specialties are steak, seafood and spirits. Our menu features sustainable wild caught seafood. Menu offerings include Alaskan King Crab, Maine Lobster, Wild Alaskan King Salmon (seasonal), Snow Crab, and Wild Caught Pacific Shrimp. From what we serve to how we act and operate, the Ore House Restaurant is committed to the long-term maintenance of well being which has ecological, economic, political and cultural dimensions.